The “Divorce Your Way” philosophy was created to help guide people with uncontested cases through the legal procedures and processes required to represent yourself as a Pro Se Litigant and commence the process to obtain an uncontested divorce in Cook County, Chicago, Illinois. Specifically, for a flat fee of $510.00 you will meet for up to ninety (90) minutes with a licensed attorney who exclusively practices in the family law field. This private, in-office meeting will cover general topics such as legal procedures required to file a Pro Se Appearance and to proceed with an uncontested divorce; you will leave with the customized “Divorce Your Way” Pro Se Packet. The Packet will include the basics of court filing, relevant court forms and/or additional online resources, online services and step-by-step instructions on how to initiate a divorce action as a Pro Se Litigant in Cook County, Chicago, Illinois. Top three questions to ask yourself before scheduling an appointment for an Uncontested Case Meeting. (1) Are you ready to proceed with a divorce? Divorce (or the dissolution of marriage) is the termination of a marital union, the canceling and/or reorganizing of the legal duties and responsibilities of marriage, thus dissolving the bonds of matrimony between a married couple under the rule of law of the particular country and/or state. (2) Do you consider your situation to meet the requirements for an “uncontested divorce?” Uncontested divorce: Both parties are able to come to an agreement (either with or without lawyers/mediators/collaborative counsel) about ALL aspects of the property (assets and liabilities), children, and support issues. When the parties can agree and present the court with a fair and equitable agreement, approval of the divorce is almost guaranteed. However, if the two parties cannot come to an agreement on any aspect of the case, they may ask the court to decide how to split property and/or deal with the custody of their children, it is a contested case. (3) Do you intend to represent yourself in the divorce action, without counsel? 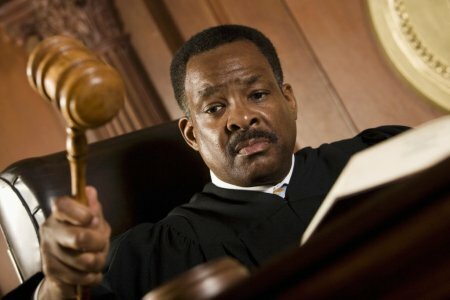 Pro se legal representation (/pro ‘si/ or /pro ‘se/) means advocating on one’s own behalf before a court, rather than being represented by a lawyer. This may occur in any court proceeding, whether one is the defendant or plaintiff in civil cases. Pro se is a Latin phrase meaning “for oneself” or “on one’s own behalf”. If you answered YES to all of the three questions presented above, then you are ready to schedule your appointment for an Uncontested Case Meeting, which you must designate when calling Ward Family Law, LLC as a signed Uncontested Case Meeting letter and payment for the meeting will be due in conjunction with making your appointment. DISCLAIMER for Uncontested Case Meetings: At no time shall this Meeting be construed to be the formation of an attorney/client relationship and is not a prospective client meeting, as all participants are seeking guidance to represent themselves as Pro Se Litigants rather than hiring an attorney as his or her counsel. Further, no part of the Meeting shall be construed to be legal advice, as the guidance provided by the licensed attorney in the Meeting shall be for the sole purpose of providing general information only in helping with the Pro Se Litigant process in divorce actions in Cook County, Chicago, Illinois.